Our SEO Web Magic team has had an interesting year, what with all the animals that Google threw at us. Evil Pandas and dastardly Penguins were sent to test our resolve. This all happened in April and May 2012 and I can honestly say it took the wind out of our sails. To know that millions of other sites were hit as well is not really a comfort. You work damn hard to get those page I rankings and to see all of your hard work disappear into oblivion is devastating. And it wasn’t just local sites that got hit with ranking downgrades. Big sites with massive turnovers all over the world had their cash flow virtually wiped out overnight. So apart from panic (briefly) what did SEO Web Magic do? We strove to understand what Google was trying to achieve and how they were going about it. You know, at the end of the day, Google is trying to offer the searcher the most relevant results for the search query (keyword) into Google search. Now whilst Google still serves up some pretty ordinary results from time to time, in the main, if you're searching for something you get what you expect. If the site in No.1 spot isn’t what you are looking for chances are you’ll get the information you need from slots 2 through 4 or 5. If you’re doing research on a product or for a school report say, you might check out more sites and occasionally check out what’s on page 2 as well. In our search for understanding, we remained “tapped in” to the Internet SEO grapevine, i.e. people we knew and respected in the search engine world and came up with solutions and strategies that we felt would be successful in getting back those precious page one spots. I’m happy to report that all of our rankings were restored to their former levels and many even achieved higher slots by the end of May, early June 2012. Sites with ‘thin’ content get kicked up and down the rankings with regularity. By ‘thin’ we mean very little to almost no content at all, let alone quality content. Google is constantly reminding us with its updates that they will reward sites with high quality, relevant and original content. And by content we mean; words on the page, images, video and audio. Low quality content, duplicated content and not much content at all, will never see you attain the rankings (and traffic) that you want. Not only do you have to have high quality content on your website, you have to structure it in a certain way to achieve first page Google results for your major keywords. Some of the websites that have come to us this year have been set up very badly. Some of these sites we simply can’t work with, they have to be completely revamped or in some cases abandoned and a brand new site built to our and Google’s specifications. One example of this was the site we built for local Gold Coast locksmith and another was the this site for CSI Concrete Scanning & Investigation. Another type of site we come across frequently is where a web developer has set up their own theme where only the developer can make changes and keep the theme up-to-date. When the client comes to us for help we are forced to arrange new hosting and re-theme the site so that updates can be done by us, the client or an outsourcer. Example of this here and here. You can achieve a great deal with a well-structured and well-optimised site however you need backlinks to finish off the job and get on the first page. 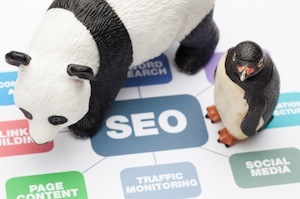 Yes, backlinks are still the backbone of higher rankings. If you’ve heard the rumours that SEO is dead, you’ve probably seen or heard the sales pitch of someone trying to cleverly disguise a product they have developed that will get you ranked on the first page of Google. What do all of these products have in common? Yes, you guessed it. Some form of back-linking product. 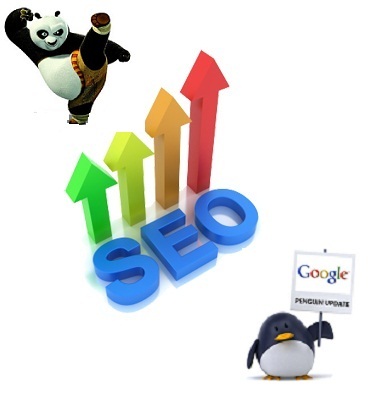 Prior to Panda and Penguin you could get away with a pretty ordinary website in terms of structure and content and then get an SEO company to get you a stack of links and you could rank very high very quickly. 2012 put the end to that strategy. Now, in addition to high quality, original content you need good quality links structured in the right way to avoid being penalized by Google. In early December 2012, word got out that another big Google algorithm change was due. Instead of going into a cold sweat, we were pretty confident that our strategies for client’s sites were spot on. A rank check after the update revealed even stronger rankings for our clients, and many more number 1 search engine results achieved. In 2013 our focus will be to make sure that the websites under our care are correctly structured (in most cases we don’t even charge extra for this, although we should!! ), have great quality content added on a regular basis, and have high quality back-links built steadily and naturally to ensure page one rankings for all the important keywords. We’ll continue to ensure that Google’s guidelines are strictly adhered to so that our clients continue to reap the rewards of more leads, more customers and more profit. We would like to take this opportunity to wish you a Merry Christmas 2012 and trust that you achieve great business success in 2013.